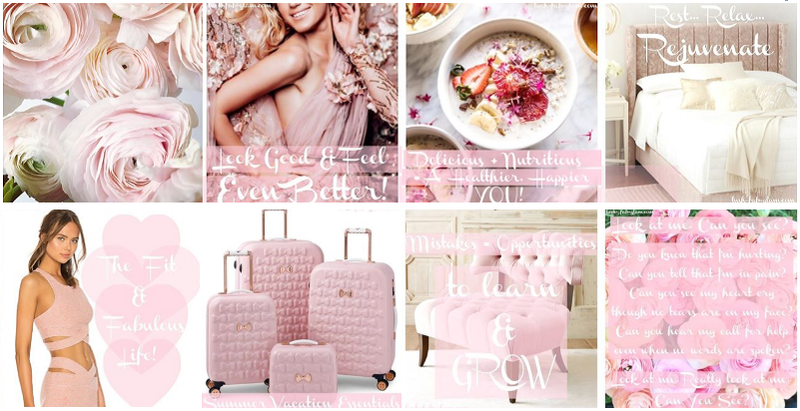 Lush Fab Glam Inspired Lifestyle For The Modern Woman: Summer Entertaining With Mionetto Prosecco. 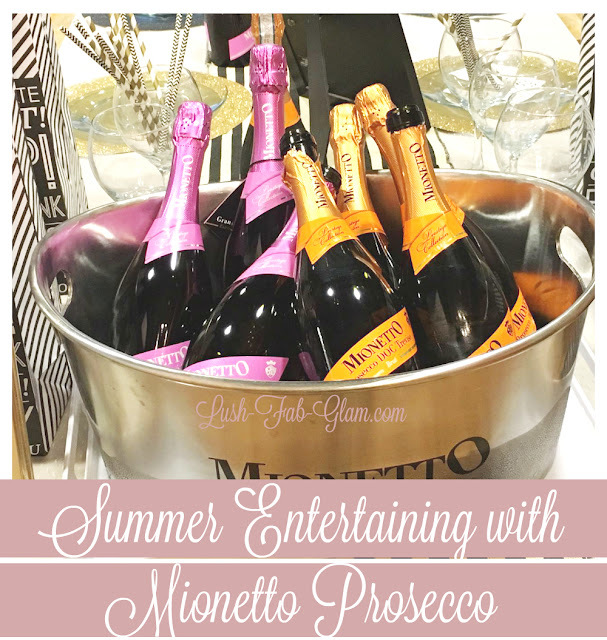 Summer Entertaining With Mionetto Prosecco. 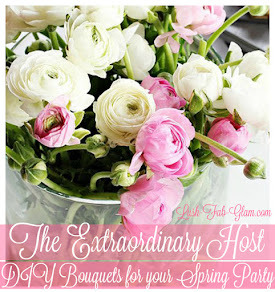 The Extraordinary Host: Summer Entertaining With Mionetto Prosecco. We have discovered our new favorite drink and it's sure to be a hit with our friends, family and guests at our summer celebrations. This fabulous drink will add a dose of class to any gathering and for wine lovers like us, it's also perfect for relaxing after a long day. We were first introduced to Mionetto Prosecco during a recent Wall Street event hosted by Desiree Rabuse of StyleFox.co and Mionetto. Our wine lovers senses kicked in immediately as we sampled the sparkling, fruity and sensation tingling taste of Mionetto Prosecco Gran Rose and the Mionetto Prosecco Doc Trevis Brut (pictured below) and it was love at first taste! Mionetto has a long and successful history of being an international leader in making fine Italian sparkling wine. They have been perfecting the craft of wine making since 1887 and the Mionetto Prosecco is absolute perfection. Plus the beautifully packaged bottles will add pizazz and an air of sophistication to any party decor. 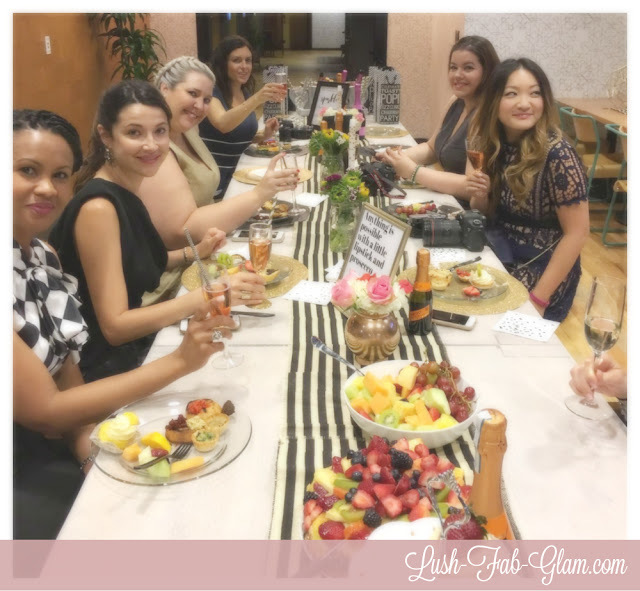 We especially love how Mionetto Prosecco can be paired with and perfectly compliments all types of foods from delicious party appetizers to decadent desserts like the ones we enjoyed at the Mionetto event in NYC. In short Mionetto Prosecco is the ideal drink for the extraordinary host to serve to guests. Fab Tip: You can pair your Mionetto Prosecco with delicious fruits, bite-size appetizers as well as decadent sweets. Tip 1: Host a brunch and serve delicious glasses of Mionetto Prosecco to your guests. 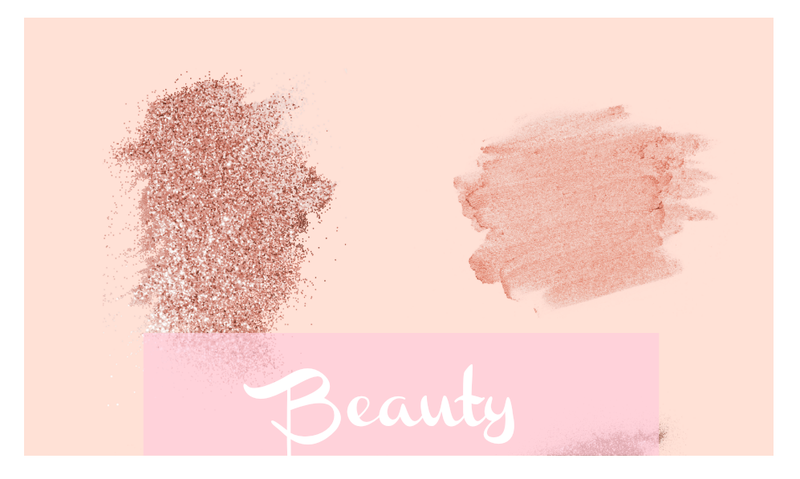 It's sure to take things from dull to sparkling, since it can be served at any time of day. Best of all unlike champagne it won't leave you with a hangover. 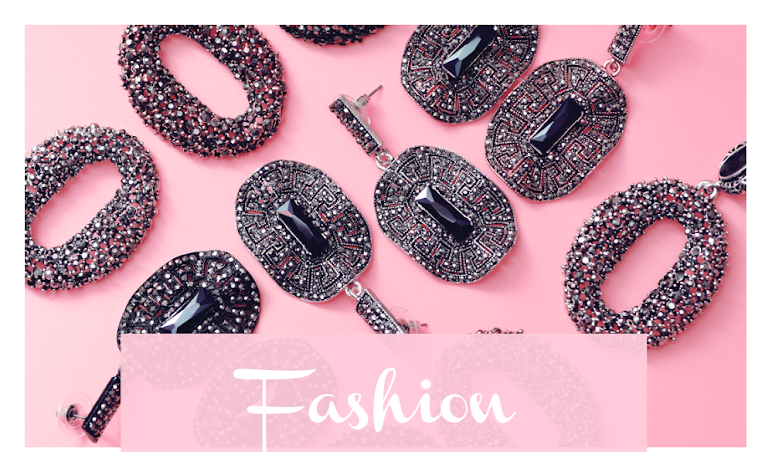 Tip 2: Wear your favorite LBD or summer dress and enjoy a romantic evening-in or summer alfresco dinner with your date/ significant other. 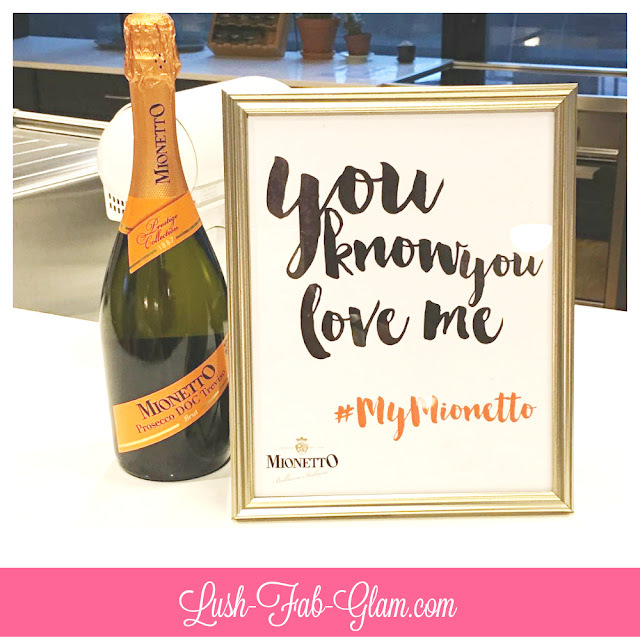 Keep the love juices flowing with a bottle of Mionetto Prosecco. 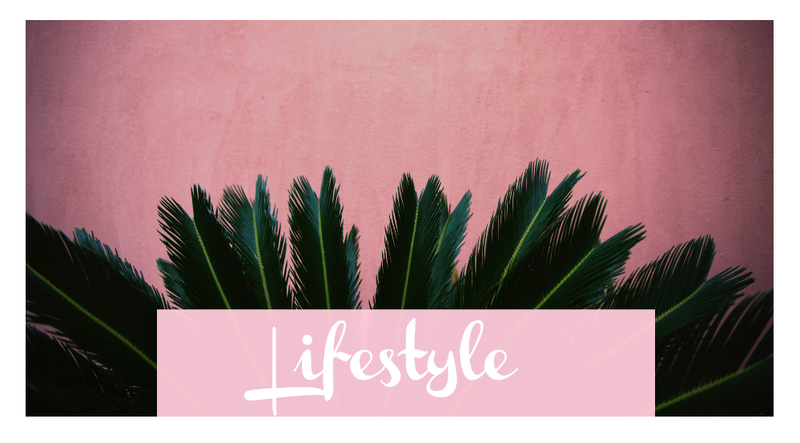 Tip 3: Throw a fabulous summer cocktail party with Mionetto Prosecco as your mixer of choice, your girlfriends will love this fun and sophisticated summer bash. Visit the Mionetto Prosecco website for some amazing cocktail recipes. 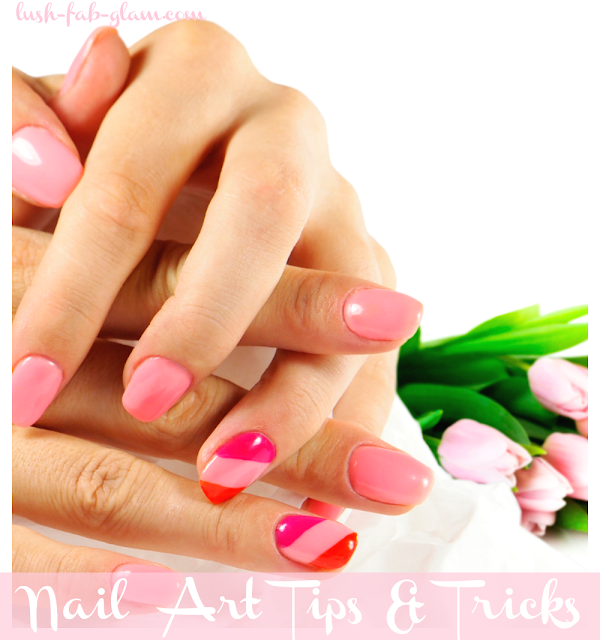 Tip 4: Whether you're hosting an event or you simply enjoy having a casual drink while relaxing at home. 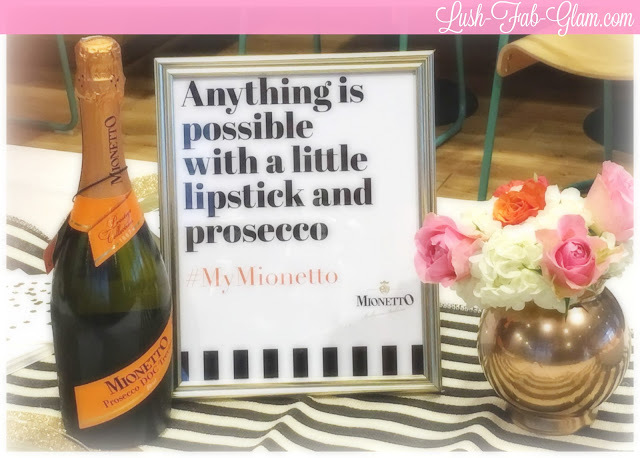 The sky's the limit when Mionetto is in the midst and "anything is possible with a little lipstick and Prosecco!" 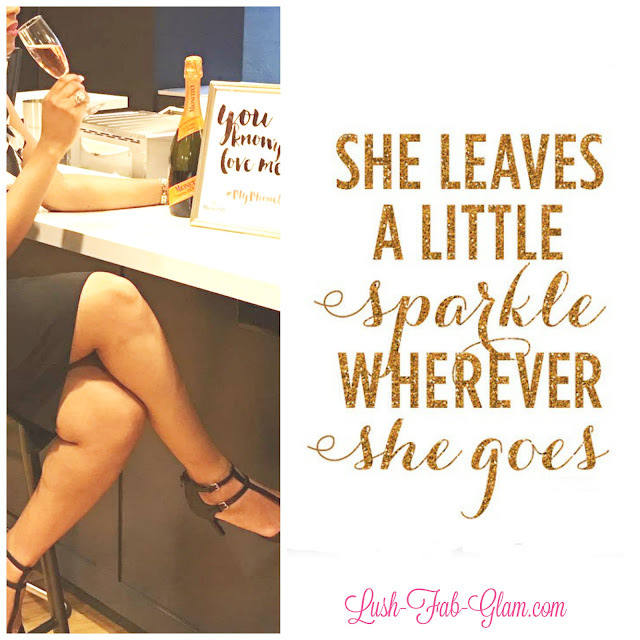 The fabulous days of spring and summer are here and that means fun backyard parties and impromptu celebrations with friends and family, so you will want to have your bar cart well stocked. Finding a drink that's both affordable and delightful is usually a challenge. Thankfully you can find Mionetto Prosecco right here in the US. 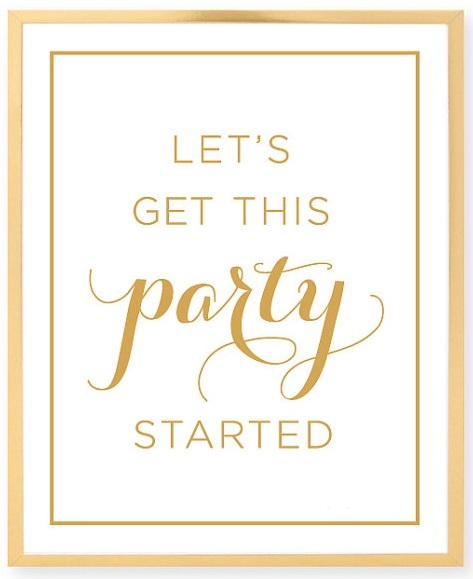 Click here to find a location near you that carries Mionetto Prosecco and 'let's get this party started.' 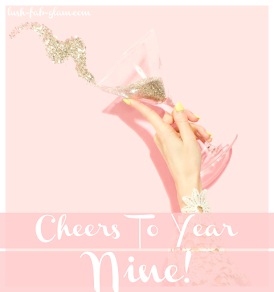 Cheers to a fabulous summer! This is a sponsored post written by me on behalf of Mionetto Prosecco. Content for 21+. 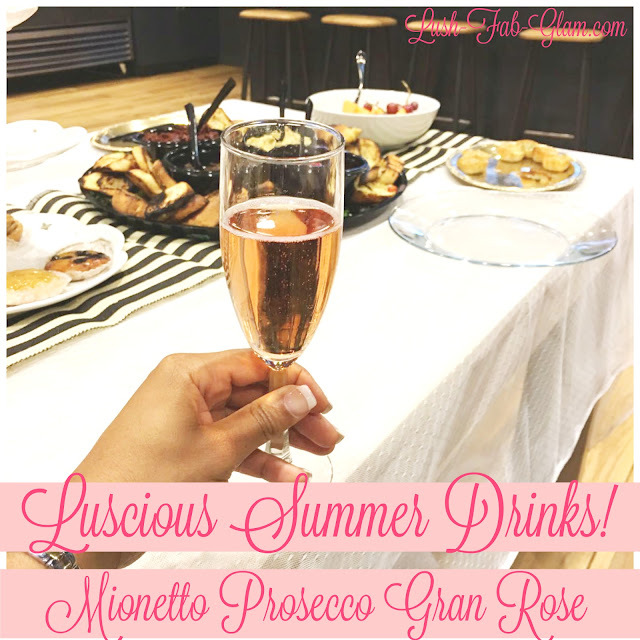 What's your favorite summer drink/ cocktail and have you try Mionetto Prosecco? Share with us by leaving a comment below. That must be quite the fun party! 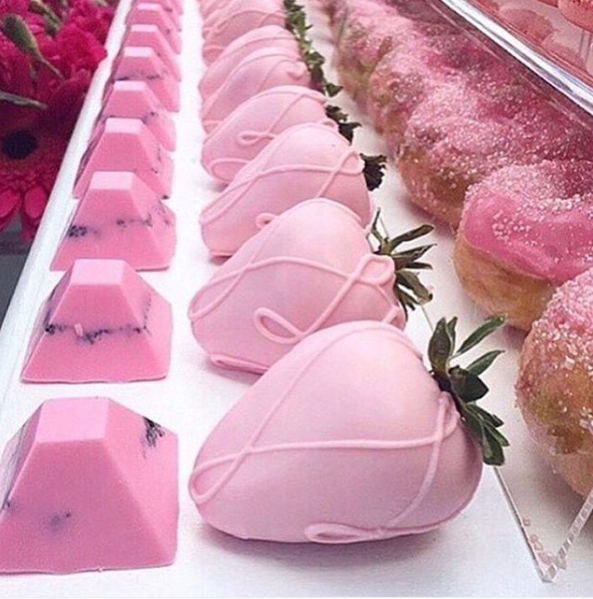 Pink chocolate covered strawberries are heavenly!